Yes that would be standing on my dining room chair in order to get a decent selfie haha. 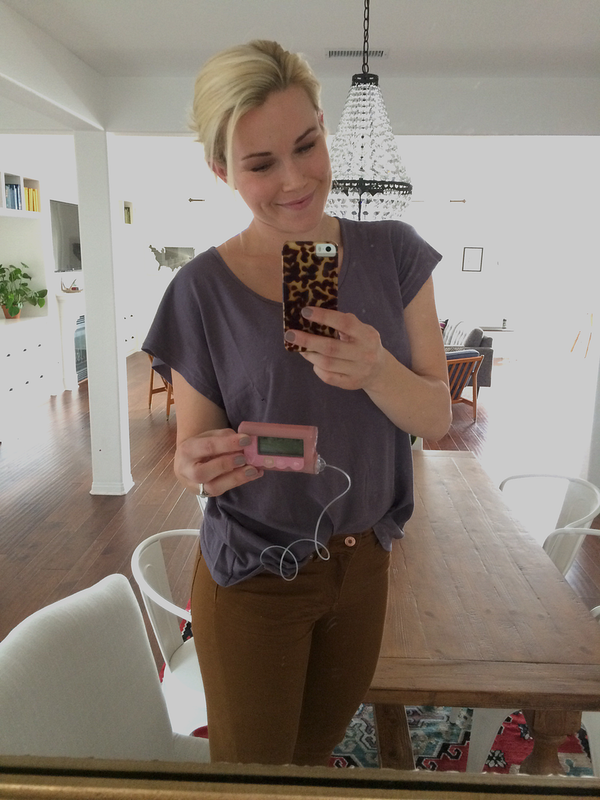 I have had Type 1 Diabetes for 22 years now (you can read my diagnosis story here). Diabetes in a weird way has made me a healthier person. Because of diabetes I exercise daily, I eat clean and I think about everything I do when it comes to my body. Some might think this is a curse but I look at it like a blessing. My husband is my biggest supporter. Diabetes can play with your head and make you feel like you are all alone at times so having a good support system to lean (and sometimes cry) on is very important. I am beyond thankful that Ian is always there for me and helps bring me out of the slumps and the burnouts when they do happen. Read more of my Type 1 Diabetes posts here. You are such an inspiration Lindsay! You really are. You're such a warrior! I have a friend who has T1D, as does her teenage daughter. Our very close friend's little sister has it. My coworker has it. I think many people assume diabetes is something old people get, when in reality diabetes is much more common than we realize and there is so much that we can all learn about it. Thank you for being such an inspiration and for sharing your journey with all of us! XO Momma! How do you eat so healthy and avoid lows?! I always start out eating great and then as soon as I get low I head straight for the junk food and sugary drinks. Share your secrets to eating healthy while being type 1??! I love this post, and after looking through your blog I am going to start making some paleo dishes. My son is a Type 1 Diabetic, he was diagnosed at 17 months and is now two. I enjoy your posts, and would love to know when you first started eating the paleo diet and how it effects your Type 1. :) Love your blog!